Speaking of reclamation projects. Well, were we? 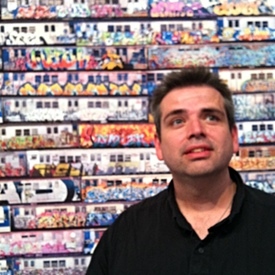 Another blast from the past is in here at artlung.com/flash where you can see my Flash work from 1997. There’s even an .spl file! (.spl was the extension for FutureSplash files. .swf was the new .spl file). Joe Crawford blogged this at 4:00am in 2012 in February. The 13th was a Monday. You are reading this 7 years later. Comment. There are no comments Tweet. Send email. 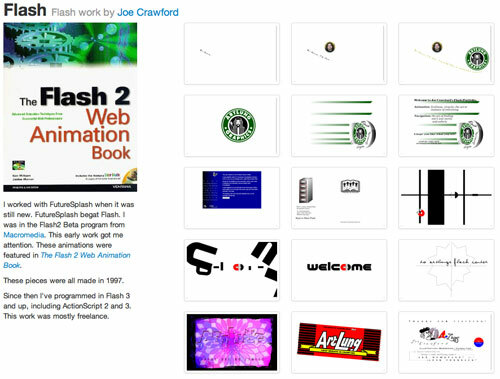 It has hashtags→ flash webdev .